As the deadline for implementation approaches, mastering validation is no longer an option, but a must. 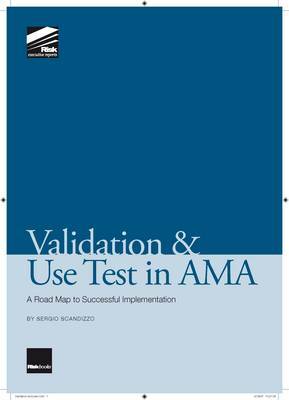 This new executive report guides you through all the key steps required to validate an AMA approach, with the main objective of obtaining regulatory approval. With analysis and examples of the current methodology and regulation, this best practice guide allows you to benchmark your methods. Furthermore, it provides you with the tools and techniques needed to: - Clearly document your validation process - Explain and justify your modeling choices - Assess the strengths and weaknesses of your models - Anticipate any issues auditors might raise. It concludes with a detailed discussion of the role of the user test, demonstrating how the measurement model is integrated into day-to-day risk management.